Green houseplants make a wonderful addition to any home but sometimes they can be left to languish in a dark corner as they gather dust. With a little care and attention they can make a wonderful focal point in your home. Houseplants should be presented as part of your interior decorations – brightening up room or office – rather than simply something to stick on a shelf. Containers can really make a difference to the look of your plant but before you start sticking your plants in any pot you have to hand, think about how it will look in your home. Dracaenas can be planted into a simple, square white cube, giving a pleasing symmetrical effect that will suit most homes. Dracaenas do not tolerate over watering and can thrive under sparse light and low air humidity. This is the perfect plant for a home office. The Sansevierias plant has dramatic vertical leaves and looks good planted in a chic glass cube. Add some colourful accessories, such as yellow sticks to accentuate the colours of the plant but also give it extra height and a designer touch. Epipremnum aureum, also known as the Pothos, Silver Vine takes on a rustic quality when potted in a terracotta or ceramic pot. Earthly colours such as brown or russet suit any mediterranean style and a touch of gold on the container can really brighten up your design. For the image conscious, a great way to display aloe vera is to wash the roots of the plants before attaching them with decorative pins to a soft willow bowl. 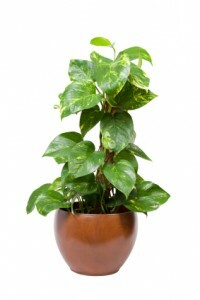 Another display piece that would be perfect for the office or reception are the Maranta and Peperomia plants. These look fantastic when planted into low, black, glossy containers then decorated with white sticks and yellow cotton. Sticking with the minimal bold look, Muehlenbeckia plants are given a whole new status when planted together in a sleek ceramic trough. They are ideal for a north-facing windowsill of an apartment or flat and will suit the city dweller looking for something a little different. Remove harmful chemicals from the air. Absorb noise and lessen dust. Help hospital patients recover faster. Lower blood pressure, help concentration and improve memory. Promote feelings of relaxation, calm and wellbeing. Make rooms look cared for and welcoming. In order to help out the UK honeybee population it is important that we make our gardens as bee-friendly as possible. There are lots of things you can do, from planting specific flowers to setting up your own hive. Single-flowered plants are most attractive to bees because they are easy to get in and out of. Flowers that are too showy with a lot of petals may be ignored by bees. If you want to grow roses in your garden, choose a single-flowered type such as the field rose or dog rose. It’s also a good idea to plant flowers that are going to bloom in early spring and last through to autumn. The succession of blooms will ensure there is enough pollen and nectar to last for months. Flowers known to attract honeybees include geraniums, dahlias, hyacinths, crocuses and tubular flowers such as foxgloves and snapdragons. There are also different colours known to attract bees. Try planting flowers in various shades of pink, purple, orange and yellow. Another way to keep bees in your garden, without the hassle of your own beehive, is to make a bee house. There are many resources online showing how you can create your own or they can be bought from places such as Green Gardener. To make your own you can cut some bamboo cane down into 20cm pieces and bundle them together. Websites such as Buglife can give you a step-by-step guide to help you along. Solitary bees, such as mason and leafcutter bees, may visit if your bee house is hung in a tree. Bumblebees prefer to be closer to the ground. Honeybees probably won’t visit these bee houses, but the others that do will help to pollinate your garden and leave it looking fresh and attractive. If you are thinking about keeping honeybees then the rewards are amazing, but you must invest in the proper equipment and training to keep your bees happy. The British Beekeepers’ Association has all the resources you’ll need to get started. These include details of beekeeper training, where to buy equipment and how to look after your bees. Once your hive is up and running you’ll be rewarded with 27kg of honey a year – that’s about 50 jars. This Valentine’s Day bouquets of red roses will be sent across the world in celebration of this romantic occasion. After all, it is the most popular cut-flower in the world and for centuries it has been used as a symbol of love and passion. 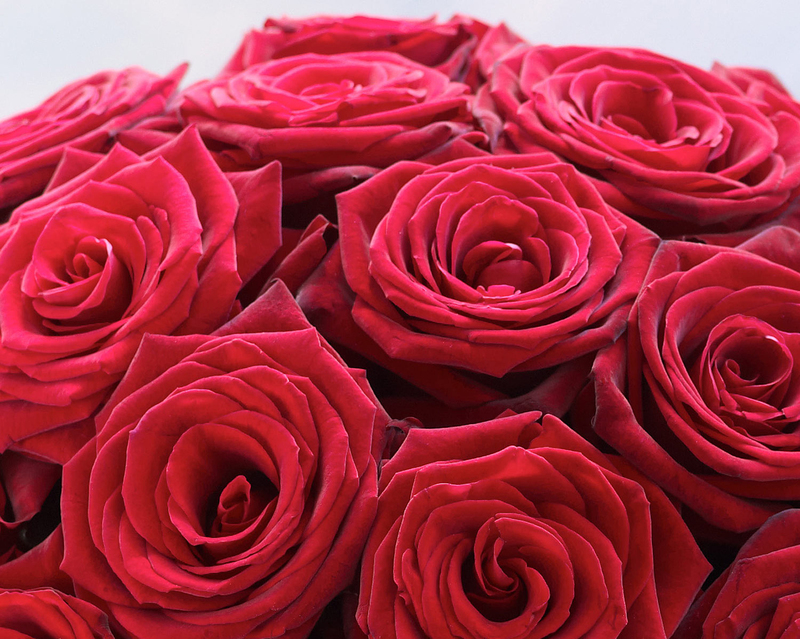 In order to help you keep your flowers looking their best for the longest time possible, there are a few simple rules to follow in order to keep your bouquet of Valentine’s Day roses fresher for longer. In the 17th century, the court of the Ottoman Empire developed a way of communicating using flowers to represent different meanings. In a time when not everyone could read or write, this became a helpful way of passing messages to one another without the need for writing. The Victorian era saw a resurgence of the idea with a number of books published on the subject from various authors, including French writer Charlotte de Latour who wrote Le Langage des Fleurs (The Language of Flowers) in 1819. Victorian women especially picked up the silent language that allowed them to communicate feelings and meanings that the strict propriety of the era would not allow. Sending a small posy of flowers, or a ‘tussy mussy’ as they were also known, or wearing them as fashion accessories, allowed young women to communicate with suitors without saying a word. In today’s modern society, flowers have taken on a more universal symbolism and many varieties are closely associated with certain occasions. Red roses are typically given to lovers on Valentine’s Day, while pink carnations and chrysanthemums are often associated with Mothering Sunday. The art of floriography is now used in a less direct but equally meaningful way and, by experimenting with different colours and types of flower, you can create a personalised message that conveys any sentiment you wish to express. The creative new design tool that allows you to put together your very own bouquet using a range of beautiful flowers and foliage – all displayed in full colour. Style a personal, thoughtful bouquet featuring your loved one’s favourite flowers or colours and have it created in time for Valentine’s Day by an expert Interflora florist. Helen Quinn, Commercial Director at Interflora, said: “We are really excited about My Interflora creation. At the moment we’re seeing a big trend towards bespoke gifting and we wanted to create something ground-breaking that allows people to use their creativity to design a unique and thoughtful gift. My Interflora Creation gives you a wide range of more than 70 flowers and foliage to choose from, with each one displayed in full colour and organised by colour, flower meaning and alphabetically. My Interflora Creation allows you to create a bouquet any combination of flowers and you can even decide whether you want your gift hand-tied or presented in a glass vase. Bring together a mixture of flowers to create a personal and unique gift that your loved one will adore and trust in Interflora’s expert florists to create your order once it is complete. The tool features options to save your gift for later, share it with someone or buy it right away. Once you are happy with your creation one of our expert florists will create your order, ready for delivery or collection from your local flower shop. 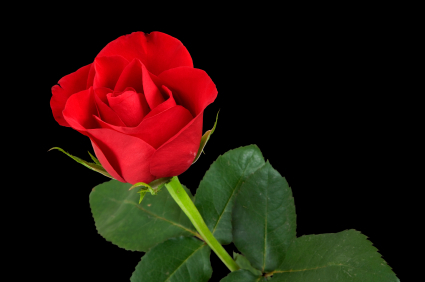 The red rose is an internationally recognised symbol of passion and love, so it is no wonder that on Valentine’s Day it is the most popular cut-flower in the world. Whether you are sending a single stem to a secret crush or a stunning bouquet of 100 blooms to the special someone in your life, red roses show your true feelings for someone with a touch of style and luxury. 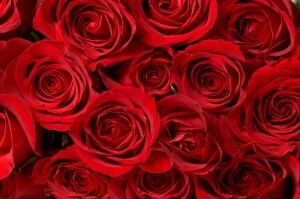 The red rose also comes in a wide variety of shapes and sizes to choose from, ranging from small headed, pinkish flowers to large deep crimson varieties. 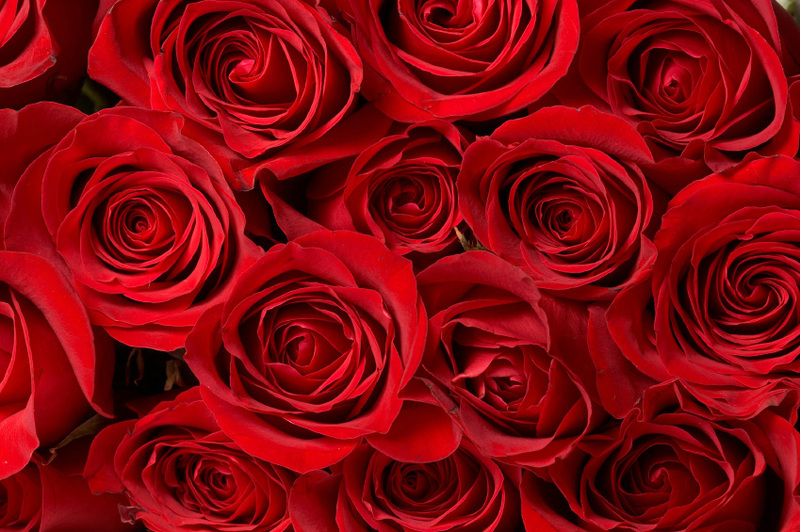 Here we have listed our top 12 red roses for Valentine’s Day to help you make a lasting impression on your loved one. Candella – A medium red hybrid tea rose, the Candella was first created in 1996 in New Zealand and is also known as ‘Eternally Yours’. Scarlet – A dark red mini-flora that was created in Denmark in 1987, this flower has a very mild fragrance and neat, rounded flower heads. Although exact numbers differ depending on who you’re asking, there are roughly 422,000 flowering plants in the world today. Flowers come in all sizes, shapes, species and colours, but sometimes what makes a flower truly special is its scarcity. A flower which can’t be found in every florist, bouquet or garden can be like discovering a rare diamond, just like the ones found on this list of the world’s rarest and most endangered blooms. The beautiful flower’s rarity comes from the short amount of time that it blooms for. This event is rarely witnessed by anyone because the Kadupul flower blooms only after midnight and withers away before dawn. Because of this, it is also the world’s most expensive flower – in fact it is priceless because no one has ever had one long enough to sell it! As well as one of the rarest flowers in the world, the Corpse Flower is also one of the strangest. 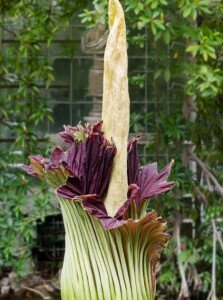 It can reach up to 3 metres in height and produces an unpleasant smell reminiscent of rotting meat. 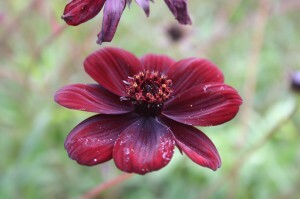 Combined with a deep red colour at its core and an unusually warm temperature during its bloom, the flower can attract carrion insects such as flesh flies which it uses for pollination. Once found across Europe and the UK, this delicate orchid is now only found growing in one particular spot in Lancashire; a golf course. 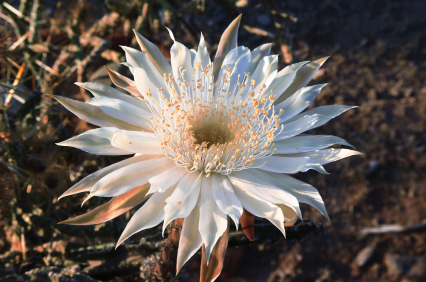 Many efforts have been made over the years to propagate this flower elsewhere but all attempts have failed, making this one remaining example one of the rarest single flowers in the world. It is so rare in fact that it has been under police protection for nearly 100 years. The Youtan Poluo is the stuff of legend – literally. For centuries it was believed to be a myth, until a Chinese farmer found tiny white buds, measuring just 1mm in length, growing inside a set of steel pipes. Thought only to exist in Buddhist scriptures, the flower only blooms once every 3000 years, making it incredibly rare indeed. They have since been discovered blossoming on the Buddha statue’s head at the Chonggye-sa Temple in Seoul. 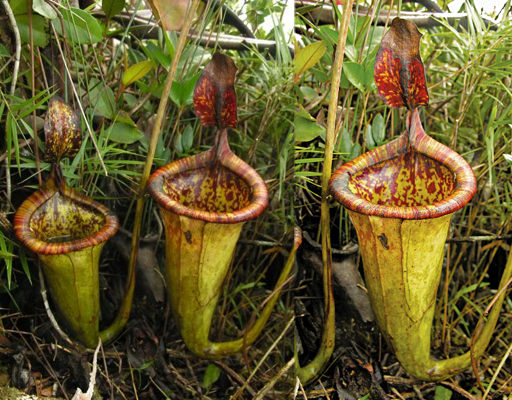 Named after the famous British broadcaster and naturalist David Attenborough, this unusual plant was discovered in 2007 after a two-month research expedition and has since appeared on the 2012 list of the world’s 100 most threatened species. A carnivorous plant that traps its insect prey in its large pitcher-like bowl, the plant can grow up to 1.5 metres in height and includes some of the largest pitchers of the genus. 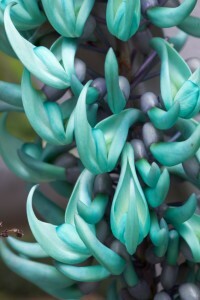 The unusual sea green petals and navy-purple buds of the green jade flower are certainly some of the most eye-catching flowers on our list. The curved flowers, which are unusually durable in texture, droop from a vine and are pollenated by bats that hang from the vines to collect the nectar from the flowers. Due to deforestation, this species has now become endangered and so are extremely precious. This is the only flower on our list to have been ‘brought back from the dead’, as it were. In 1992 the Gibraltar Campion was declared extinct due to the destruction of its habitat but, in 1994, it was rediscovered growing in the Upper Rock Nature Reserve. Since then, strenuous efforts have been made to continue its propagation and, thanks to the work of the Royal Botanic Gardens, Kew in London, it has now been re-introduced to the Rock of Gibraltar. 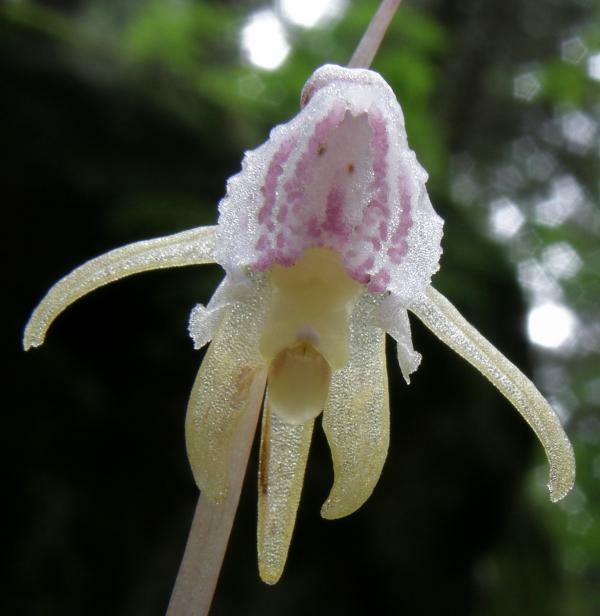 This is probably the rarest flower in the world and definitely the rarest one on our list. There are only two known examples in existence; one in New Zealand and one here in the UK. At Chiswick House in West London you can see the stunning Middlemist Red – brought to this country more than 200 years ago by John Middlemist. It is almost as if the Ghost Orchid wants to be one of the rarest flowers in the world – it doesn’t have leaves, it has unpredictable flowering times and it requires very specific host trees in order to grow in the first place. They are a protected species in the UK due to the rarity of their appearances and the penalty for removing or tampering with them can involve a prison sentence! 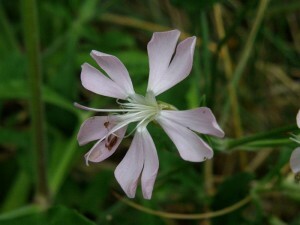 Native to: the UK, although some reports have found it in Japan and Russia as well. Sadly, this charming little flower is now extinct in the wild and the only example to be found is a single clone that has been reproduced by vegetative propagation. The dark red, almost maroon coloured flowers include a ring of six to ten petals and it emits a sweet, vanilla-like scent reminiscent of coca beans or vanilla pods that give it its common name. 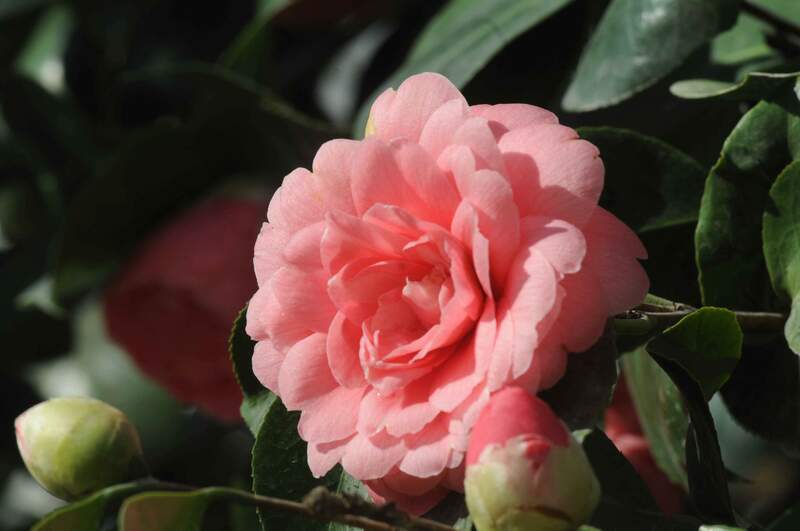 With spring just around the corner and the longer days on their way, now is the time to get back out into the garden and start preparing for the coming year. There are a number of jobs you can get done in January that will get you ready for the months ahead and help your garden stay looking fresh and healthy throughout 2013. Your garden will probably have been a bit neglected over the winter months so now is the time to have a tidy up and get it ready for spring. With weather permitting, tidy your lawn, clear away dead plants and get some fresh compost on the go for the coming year. Regularly check the heaters inside your greenhouses and sheds if you have them and make sure they are still in working order. New shoots and plants can die quickly is there is a frost so daily checks are worth the effort. Very delicate shoots may benefit from being brought indoors if there is a particularly bad frost coming. If conditions allow, fork over the soil in your garden and clear out any weeds that have survived through winter. Turn in some good quality compost to help with drainage and clear out any piles of leaves remaining to the compost bin. This also gives the birds in your garden a boost as well as your flowers and plants as it uncovers a whole host of pests for them to feed on. 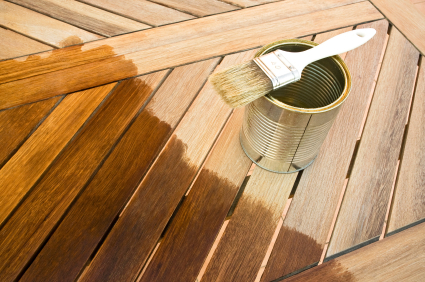 If the weather isn’t too bad, now is a good time to treat any wooden furniture or fences with wood preserve. 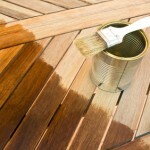 It is worth checking patio furniture and sheds for rot as well as the sooner you spot it, the better it can be treated. For those tricky surfaces such as trellises and woven panels, you can now find spray on preserves that are just as effective as roller ones. Get ahead in spring and start planning your vegetable garden now. Think about what you fancy growing this year and do your research before you buy the seeds. Only grow things you know you are going to use and try to vary your selection to keep things interesting. With the colder weather we often have the heating on longer and hotter in our houses, which is great for us but no so great for your houseplants. Keep your plants away from direct sources of heat like radiators and water regularly. 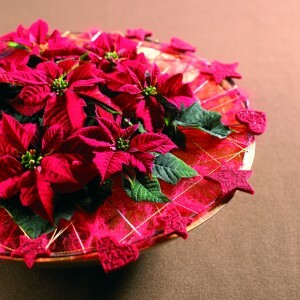 Poinsettias in particular can die quickly if not looked after and require watering weekly. Interflora have launched My Interflora Creation, a free, fun and easy-to-use website which enables you to create, send and share a unique bouquet. The innovative tool works by allowing you to drag and drop your chosen flowers into a virtual arrangement which you can then share with friends via email or social media, or send to an Interflora florist to make-up and deliver. To start your creation simply visit www.myinterfloracreation.co.uk. You can choose to start a new design from scratch or customise any of the existing designs in the inspiration gallery. And, with more than 70 different flower and foliage varieties to choose from – plus a selection of vases and accessories- each My Interflora Creation bouquet is as unique as the person who created it. Speaking about the launch Helen Quinn, Commerical Director at Interflora said: “We are really excited about My Interflora Creation. At the moment we’re seeing a big trend towards bespoke gifting and we wanted to create something ground breaking that allows people to use their creativity to design a unique and thoughtful gift. To celebrate the launch of My Interflora Creation, the Flower Experts are also giving you the chance to win an iPad3 plus see your design brought to life by one of their florists. Click here for more details and to find out how to enter. 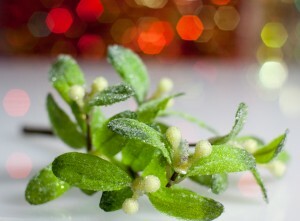 Did you know that mistletoe is not a plant in the normal sense but is in fact a parasite? It requires a host tree in order to survive and relies on birds to spread their seeds to new trees. As far back at the 16th century, kissing under the mistletoe has been depicted in festive artwork and stories, although how this tradition was originally founded is still unclear. In the 18th century, mistletoe became more popular as a Christmas decoration and many people began using it in earnest around doorframes and on fireplaces. In line with an old custom, mistletoe should not touch the ground once it is cut from the tree as this will bring bad luck for the next year. European mistletoe is the variety seen most in the UK, with rich green leaves and soft white berries. These berries are poisonous if eaten and can cause stomach upsets, so care should be taken around children and small animals when used as a decoration. Every year, Tenbury Wells hosts the Mistletoe Festival which celebrates the popularity of this unique plant. 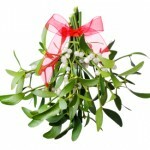 In fact, the first Saturday in November is National Mistletoe Day and signifies the start of the festival. Tenbury Wells produces the UK’s biggest supply of mistletoe for Christmas and exports the plant across the world in time for the festive period. Ireland is often pictured as a lush, green land with fields, trees and woodlands stretching to the four corners of the country. It’s rich and varied landscape makes it a perfect place for wildflowers to grow and many species native to Ireland are now the subject of much research and scientific interest. The Lusitanian Flora is a group of 15 plants and flowers that are exclusive to Ireland, having been transported there from the Iberian Peninsula (Spain and Portugal) decades ago. These species have now evolved their own distinctive characteristics for the climate they inhabit and are not found growing anywhere else. Examples include the Maidenhair Fern, Irish Fleabane and Large-flowered Butterwort and although the group has been the focus of much study, it is still unknown how the plants first came to Ireland. 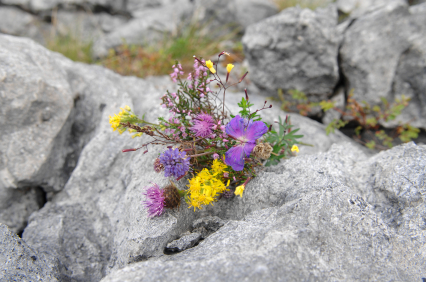 Ireland’s mild climates and rich soil lends itself to thriving wildflower populations and its varied environments each have their own particular types of flowers and plants growing there. The peat bogs provide Ireland with some distinctive and varied wildflower species, such as Bog Cotton and Ling Heather, while its limestone-rich soil areas such as The Burren are home to fuchsia and Bloody Cranesbill. 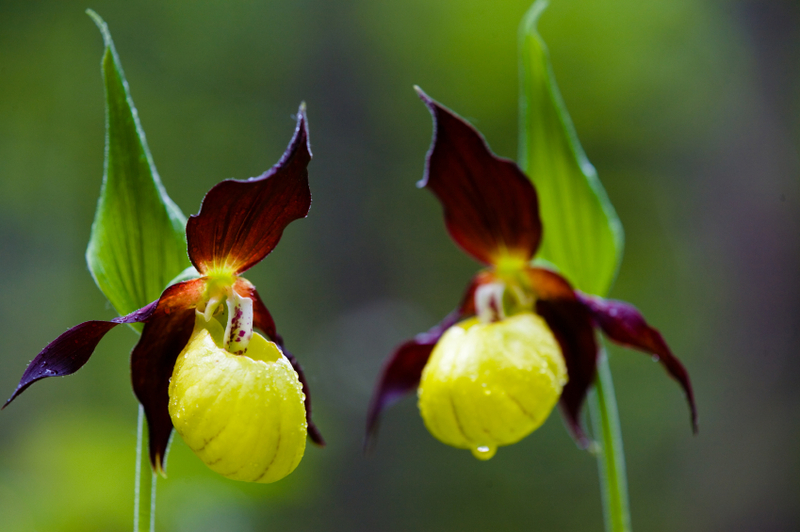 Conservation efforts have been under way for the past few years to protect these flowers and plants from decline and loss of habitat. The Botanic Gardens has created an Irish Threatened Plant Species Conservation Programme in order to monitor and catalogue the populations, spread and threats facing wildflower species in Ireland. Interflora flowers Ireland allows you to send bouquets and arrangements with ease, presenting your loved one with beautiful natural flowers from sustainable sources. Leave the wildflowers in the fields and choose your floral gifts from Interflora to send a wonderful present and keep a clear conscience. During the festive period, many homes across the country will be decorated with any number of flowers and plants in preparation for the upcoming celebrations. But how much do we know about the reasons behind our decorations and why some flowers and plants are favoured over others? Here we have taken a closer look at the most popular Christmas plants and flowers that you may come across this year during the holidays. 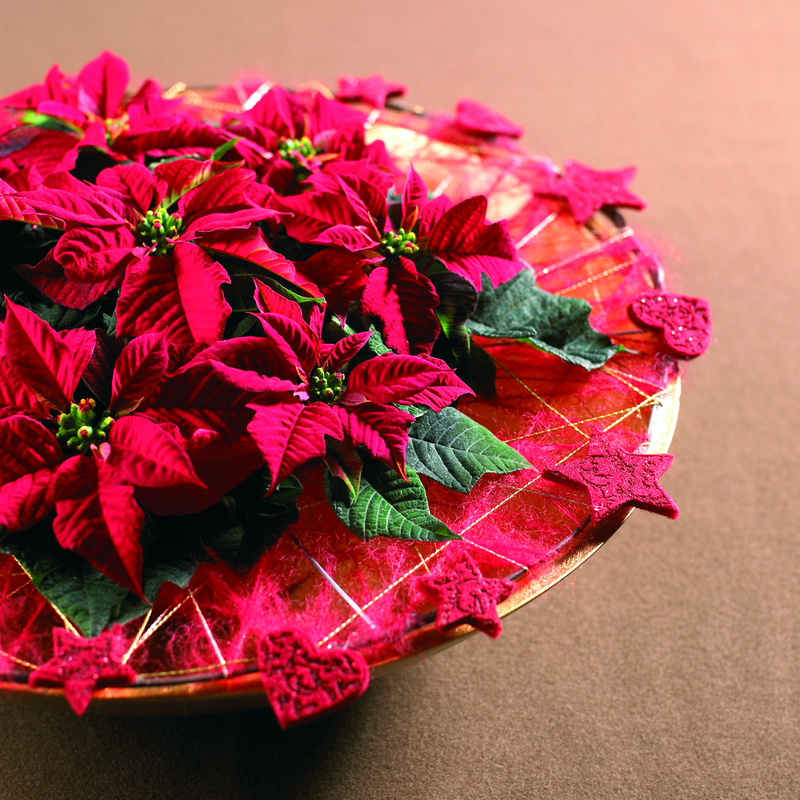 Originally from Mexico and parts of Central America, the poinsettia was brought to the United States in 1825 by the then-United States Minister to Mexico, Joel Roberts Poinsettia, whom the flower was then named after. The distinctive thing about the poinsettia is the red parts of the plant which are often mistaken for petals but are in fact leaves. Association with Christmas: The origin story for the poinsettia tells of a young girl who was too poor to afford a gift for baby Jesus. An angel informed her to gather weeds and place them on her church’s altar. It is said that they transformed into the striking red poinsettia as soon as she did so. Holly is an extremely widespread evergreen plant due to its adaptability and resistance to harsh weather conditions. Easily recognisable due to its dark green spiky leaves, the vibrant red berries can be harmful to humans if ingested but provide an important source of food for birds and wildlife. 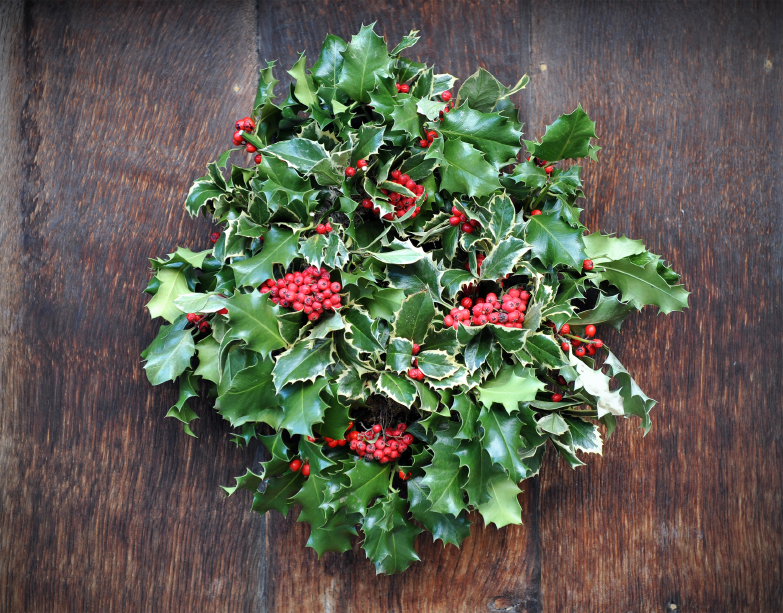 Association with Christmas: It is said that Holly was used in Pagan celebrations around Yule, which is held at the same time as the Christian celebration of Christmas. The plant was used to decorate the home and headdresses in preparation for the coming winter. This species includes both ground-crawling and climbing varieties and is native to many parts of Europe, north western Africa and south western Asia. 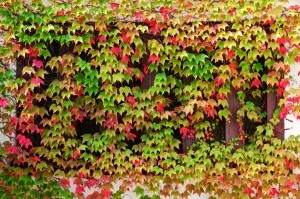 Some varieties are highly invasive and are considered weeds, but others are prized for their decorative qualities and are allowed to grow across the sides of buildings, especially in England. 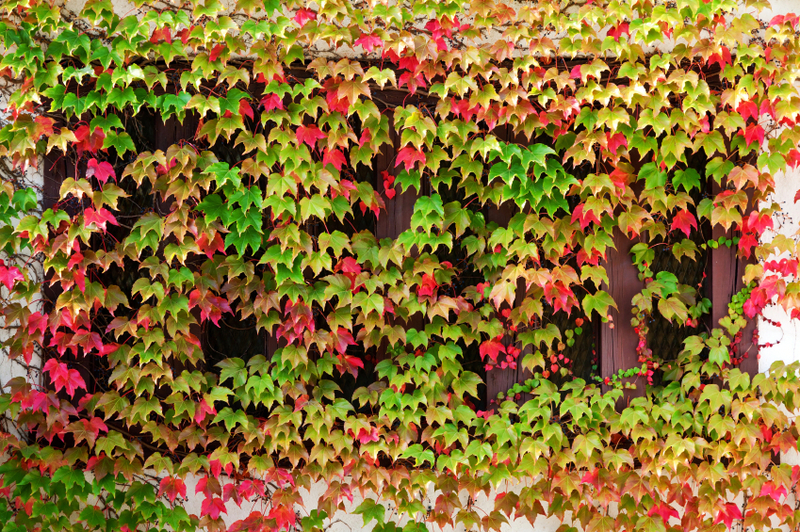 Association with Christmas: Ivy is believed to protect the home of evil spirits if used as a decoration. It is said to represent loyalty and devotion due to its ability to survive through harsh winter conditions. 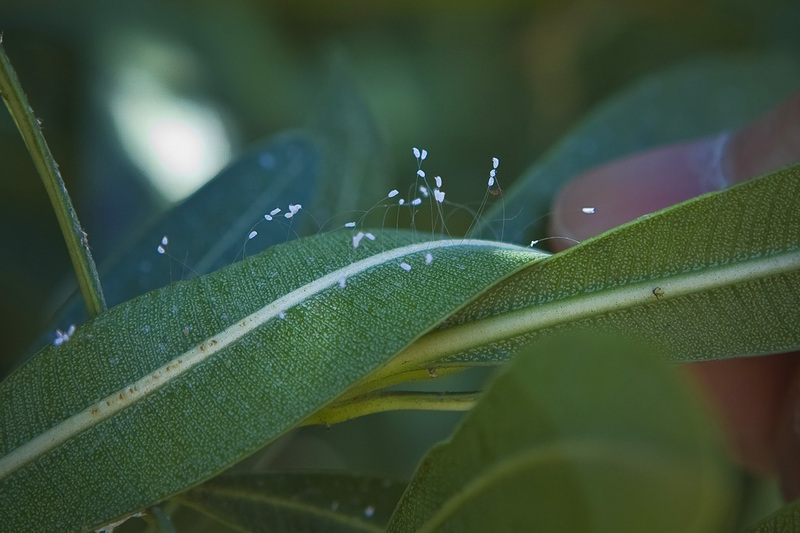 The most recognisable species of mistletoe is viscum album, or European Mistletoe, which is a semi-parasitic plant that grows on host trees and produces white berries. Although commonly used during the Christmas holidays as a decoration, the berries are toxic and should always be handled with care around pets and small children. 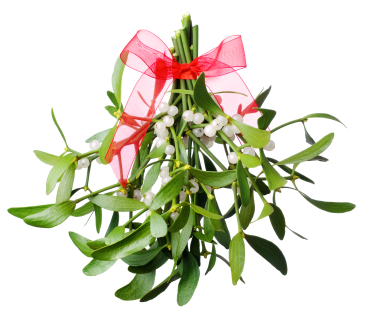 Association with Christmas: Mistletoe has only been used as a Christmas decoration from around the 18th century but now it is considered one of the most quintessential. Kissing under the mistletoe is a well-recognised festive tradition and it is often used as a decoration in the home. 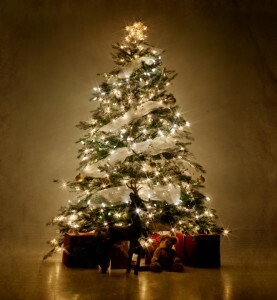 The Christmas Tree is not a name associated with only one species but instead is used to refer to fir, pines and evergreen conifers used in Christmas celebrations. Conifers can be traced back to the late Carboniferous, about 300 million years ago and due to its diversity, can be found on virtually every continent on the planet. 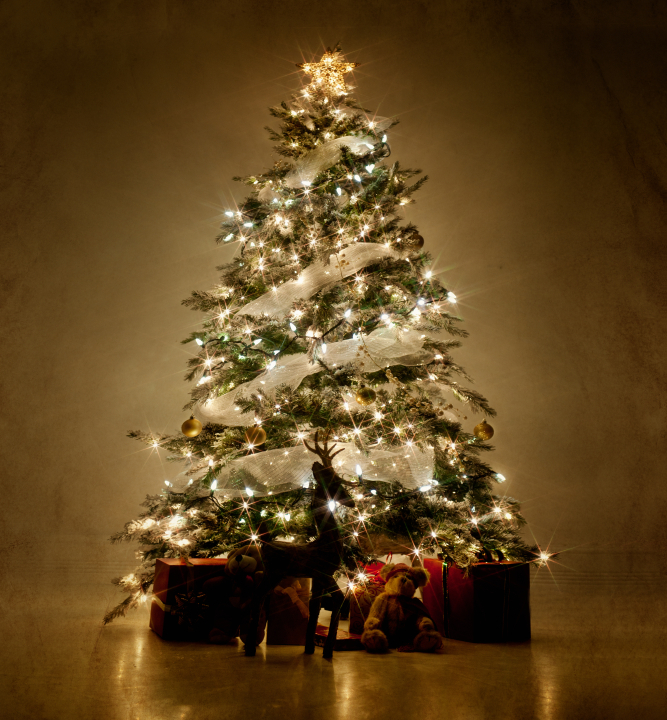 Association with Christmas: The origins of the Christmas Tree as a festive decoration can be traced back to pre-Christian times, despite its association today with the celebration. The Egyptians were said to use evergreen trees in their customs as a way of representing eternal life, which seems to be why the Christmas Tree is now used to during the celebrations of the birth of Christ.